Young and steadily growing, Samatec® is underpinned by three key features: Initiative, dynamic drive and flexibility. Samatec is one of the few firms that possesses the skills and know-how required to mould one of the most precious and innovative materials in the world: DuPont™ Corian®. That’s why DuPont™ Corian® is pioneering the future. And future unfolds day by day through your creativity and through Samatec®. 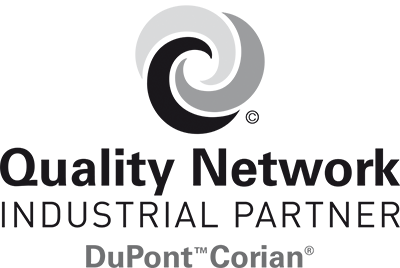 An exclusive DuPont™ patent, Corian® revolutionises the world of architects, designers, furniture manufacturers and interior designers. It is resistant to wear, easy to mould, pleasant to touch and see. 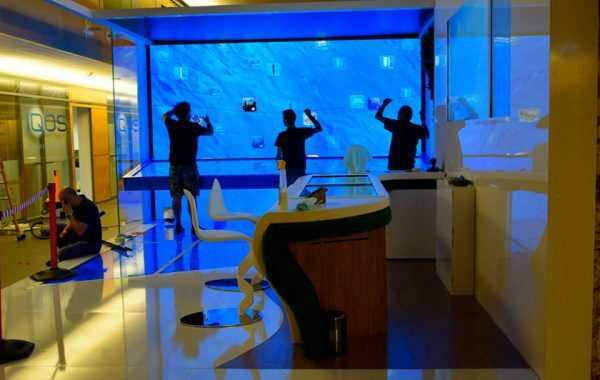 DuPont™ Corian® creative vision brought to life. It might seem amazing, and yet it is possible. 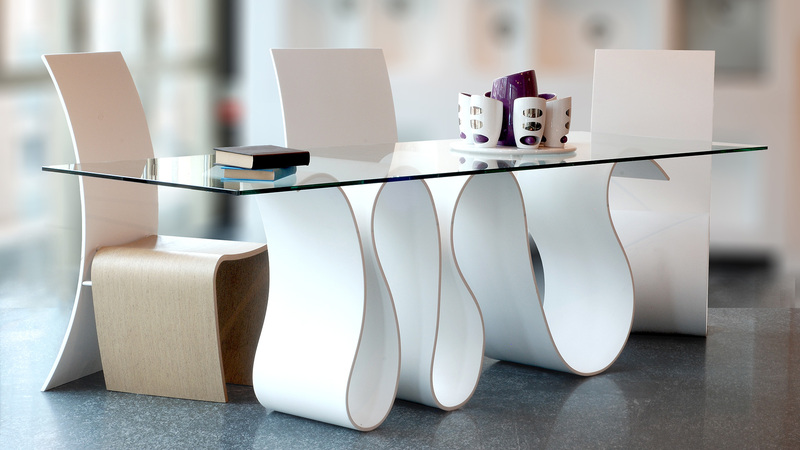 DuPont™ Corian® is probably the only material in the world that can bring creative visions to life. Much sought after by designers and architects, it moulds their talent and creativity into shapes – just any shape. DuPont™ Corian® is timeless. 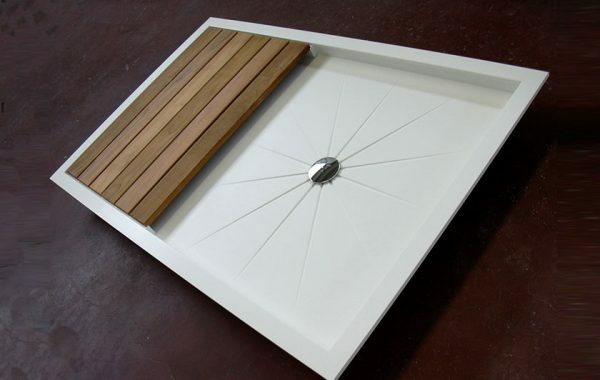 DuPont™ Corian® also possesses astounding practical features. It is an advanced uniform composite material with virtually unnoticeable joints, and offers superior performance and amazing versatile features, ranging from horizontal to vertical applications, from furniture to lighting fixtures. Easy to cut, mill, mould and thermoform, it perfectly blends with all the most exploited materials, such as steel, tiles, wood and granite. And it is available in an endless variety of hues. You can give free rein to your imagination. 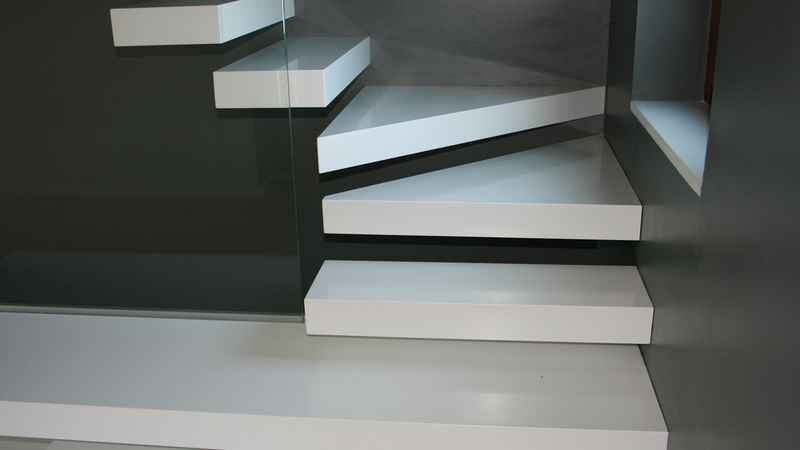 CORIAN™ is the perfect material for several utilizations and applications: residential, public spaces, design. The beauty of design, the design of beauty. 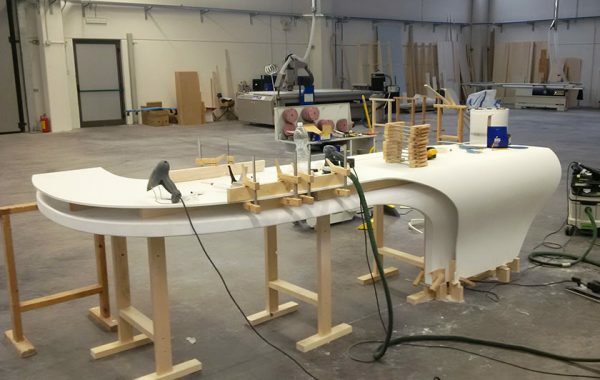 CORIAN™ takes shape in the SAMATEC creations. Fine-decoration, CNC machining, sublimation, thermoforming, our know-how for a perfect outcome. 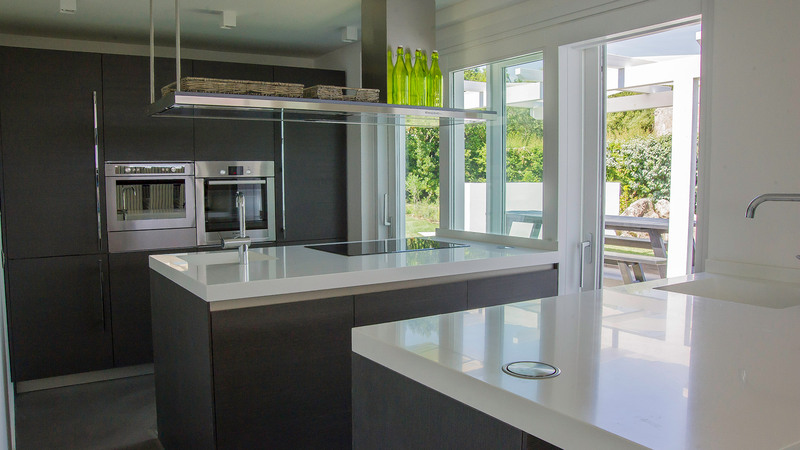 DuPont™ and Corian® are trade names and registered trademarks of E. I. du Pont de Nemours and Company and its subsidiaries.